I’m blaming my vacation (and the last few weeks of vacation prep) on the fact that I completely forgot to post July’s blog prompts on Sunday. So we’ve got a mid-week Blog Prompts. It’s summer. It’s all good, right? 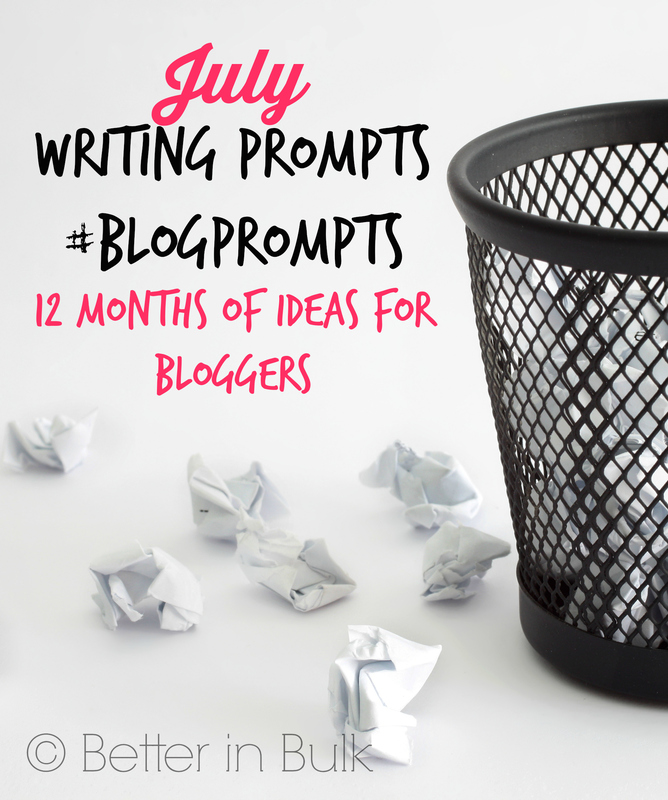 Here are a few prompts for the month of July (and, yes, I’ve got vacation on my mind!). What are the top 5 vacation spots on your wish list? When you’re on vacation, are you an adventure-seeker or a relaxation-seeker? No one has extra time during the summer! Share an easy dinner recipe. Summer is perfect for reading. Read any good books lately? Tell us about what’s on your reading list. Back to school season is right around the corner. What are some of your tips for getting kids emntally ready to head back to class. Share your summer beauty tips. Do you have mad packing skills when you head on vacation? Share your packing tips. What blogs are you reading right now? Spread the love and tell us about your favorite reads. What are your summer-time time-saving tips for blogging? What have you been blogging about lately? Feel free to leave me a comment below if you use one of these prompts. I’d love to come read your posts! Very helpful! Especially during the summer when I’d rather be outside and not in front of my computer. Thank you Lolli! These are some great ideas–everyone gets writer’s block from time to time.